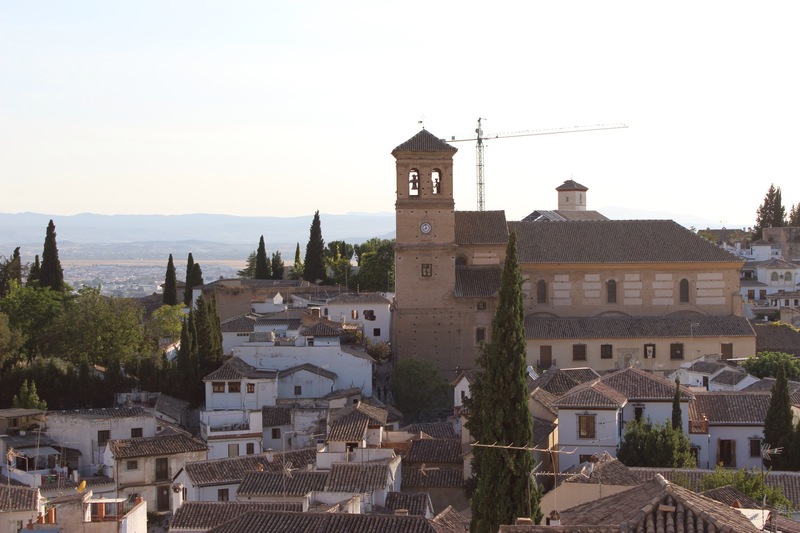 The cobbled streets of Granada beckon you to step back in time to the last stronghold of the Muslim empire in Spain. 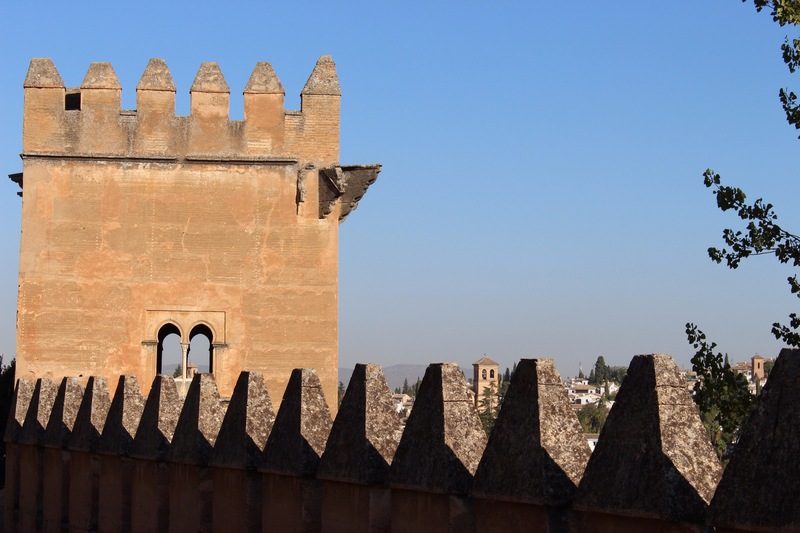 On 2nd January 1492, Ferdinand and Isabella the catholic monarchs finally conquered Granada from Boabdil, the last Muslim Sultan. 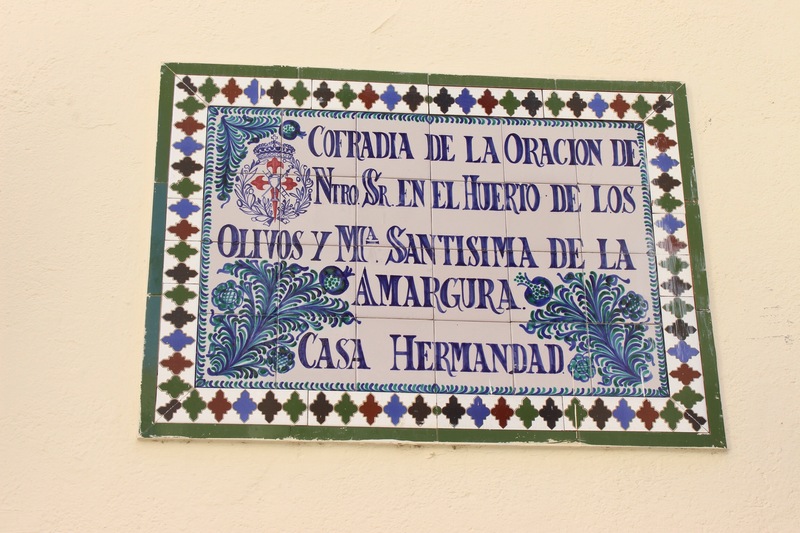 The treaty signed in Santa Fe gave the people freedom to live the lifestyle they were accustomed to and practice their religion, but was soon overturned. In 1499 Isabella’s confessor, Cisneros was not pleased that Granada continued to function as if no change had happened and breached the treaty causing uprisings that were brutally crushed. The rebellions gave excuse to nullify the treaty and thus began the Inquisition promising conversion or exile to anyone not Catholic. 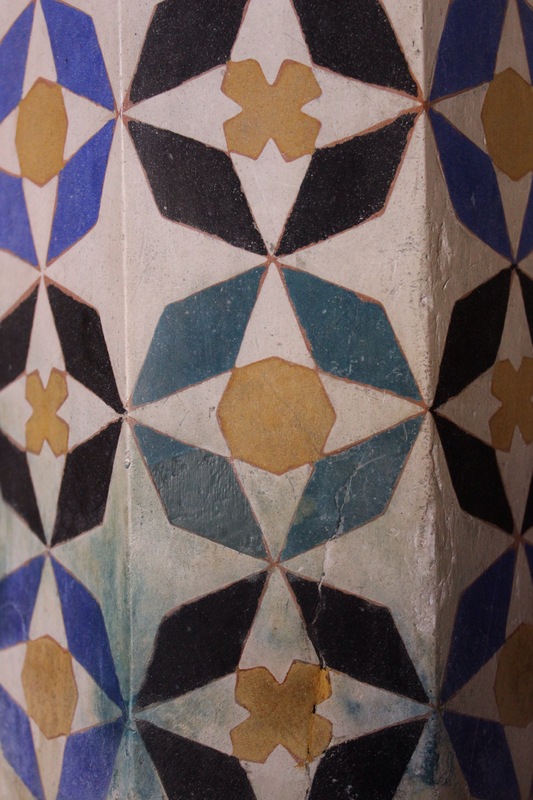 As a result the town is has strong reminders of its Muslim past, a closer heritage with its Arabic roots, however each mosque has been replaced with a church, keen to show its loyalty to God. 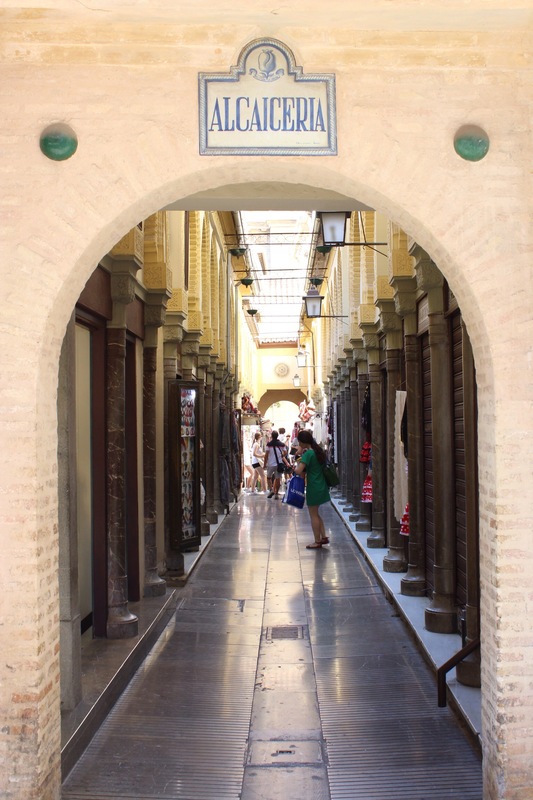 From Plaza Nueva, a grand open space, one direction is wide open streets, and the other way is winding backstreets with antiquities and trinkets for sale. 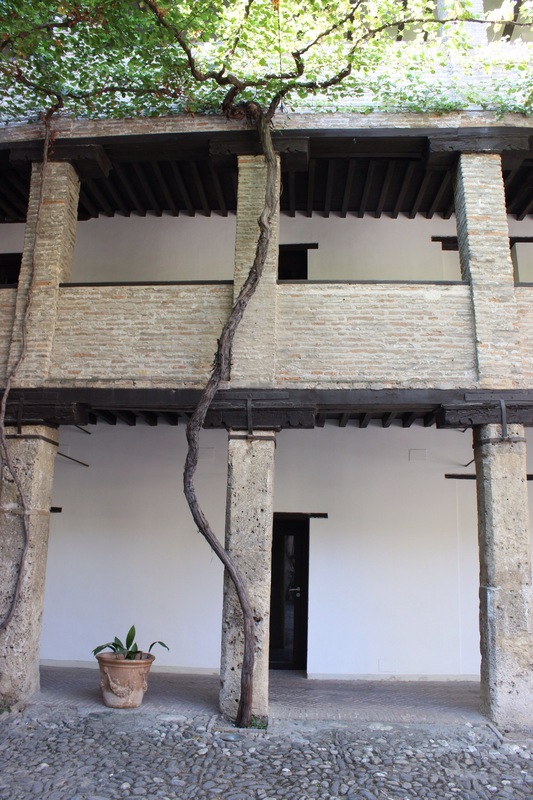 As a once bustling merchant town trading in silk, the remains of a trade hotel, the Casa Del Carbon of which there would have been many show the open courtyard style of the travelling merchants. 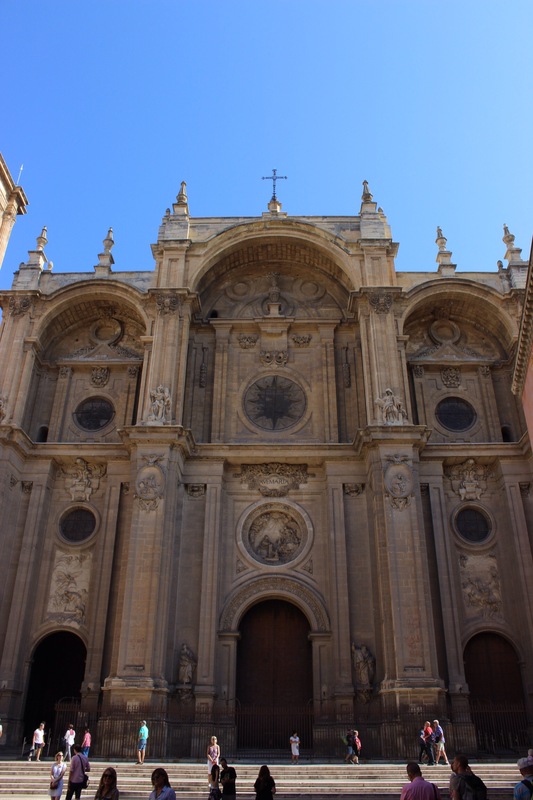 Once the silk trade ceased and the buildings were reclaimed under the catholic monarchs, many were destroyed, however this one was saved as a many families took up residence in it and protested its collapse. 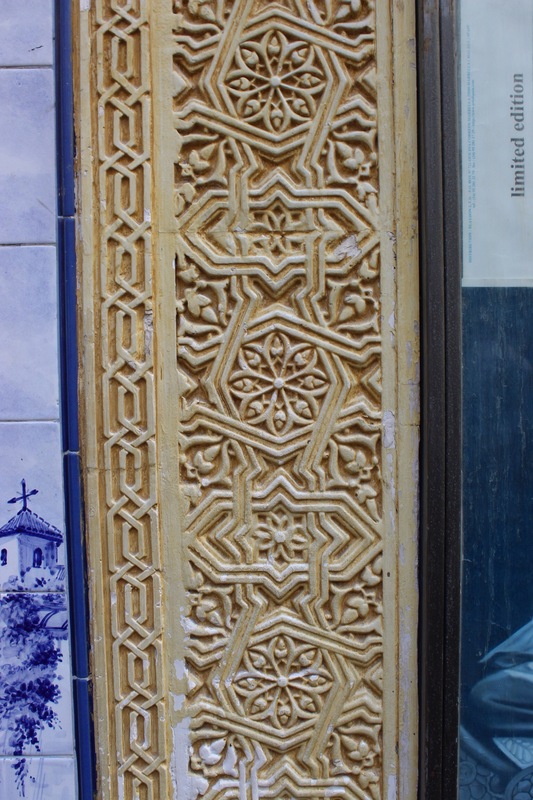 Opposite its entrance and across the modern day street, the entrance to the market, Alcaiceria, is visible as an ornate opening between modern shop fronts. It’s small, turning alleys were its greatest defence against robbers tempted by the luxurious cloths. 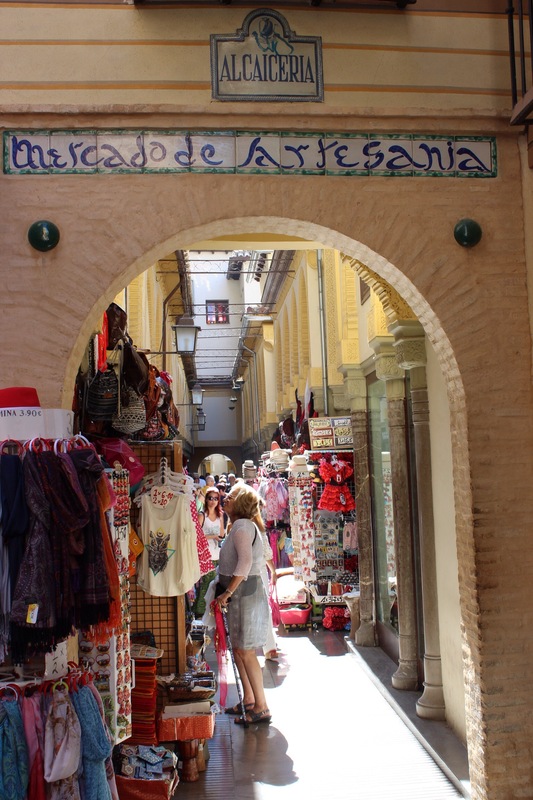 From silk, it diversified to sell goods from the new world, and now trinkets for tourists, as well as the beautiful Granada ceramics. 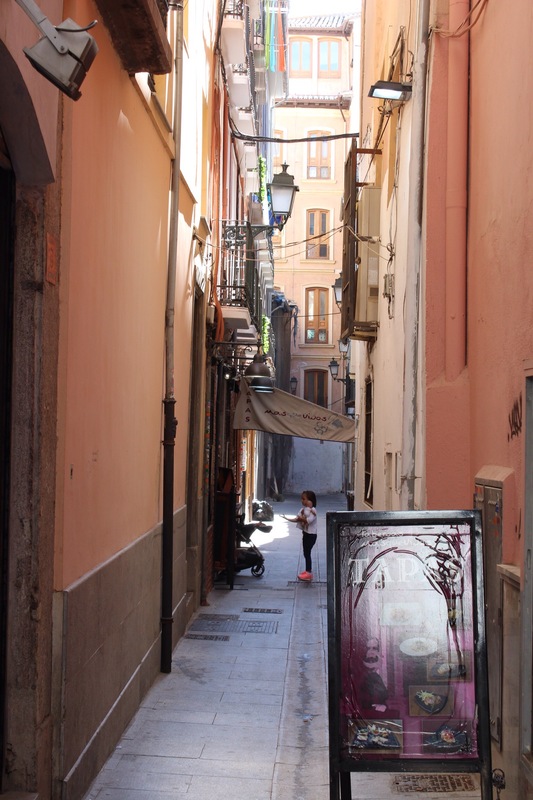 The market emerges in Bib Rambla. This square has been the scene of dark history. 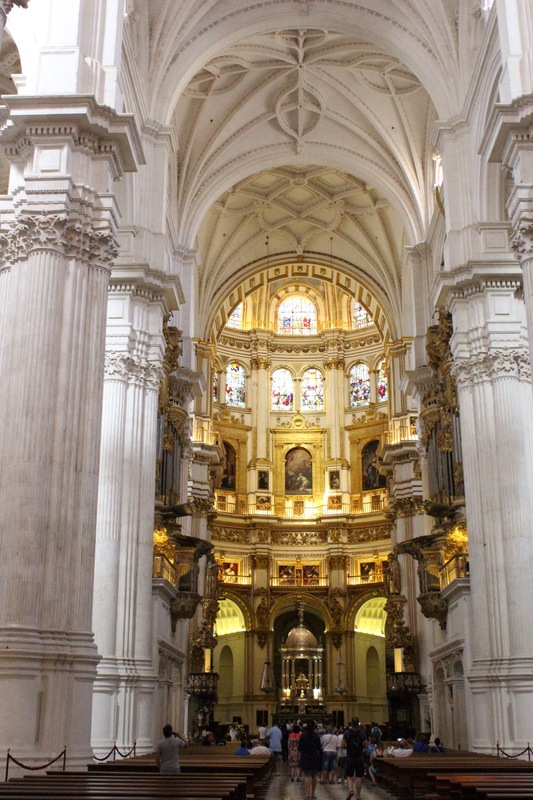 During the inquisition, books of heretical content were burnt here, followed by executions of people as the whisper mongering ramoed up and people faced inquisitors. In later years, it was the scene of bull fights and entertainment. Now people spill onto the share eating Churros and socialising. With half an hour to spare, I picked my preferred of the three traditions and indulged in chocolatey goodness. 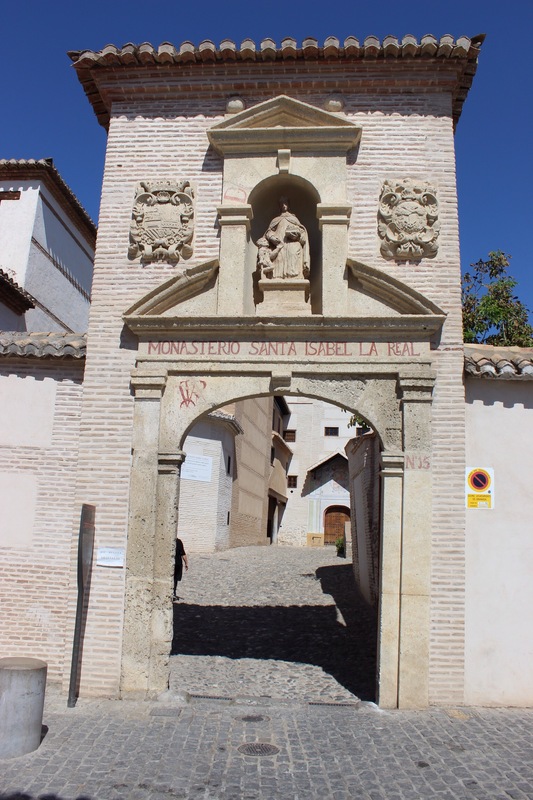 The Albacyn quarter, once a Muslim stronghold now has over 30 churches in a few km sq stretch, turning from one of the most densely Muslim places in the world, to the area with the most churches per population in just a few years. The restaurants, fragrances and music make the place feel alive with its own unique feel, which is starkly contrasted with its active Christian community. Stepping in to one of the convents in the white wash Albycin district, the noise melts away leaving only the prayers of the nuns who have to pray 24 hours of the day, devoting their praise to God. 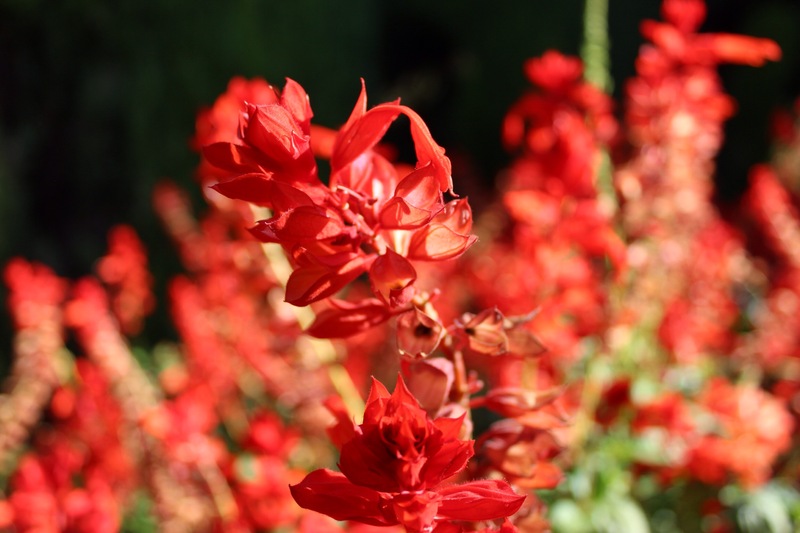 The Albycin is undeniably beautiful, flowers draped over walls. The town was moved here to the hill, from the valley when the Muslim settlement decided this would be easier to protect than the valley. Water from miles away was channels using a clever piping system allowing it to flow constantly downhill despite the hilly terrain. 27 taps are found on the hillside, built in the 11th century and in use still today, the main water source until the 20th century. 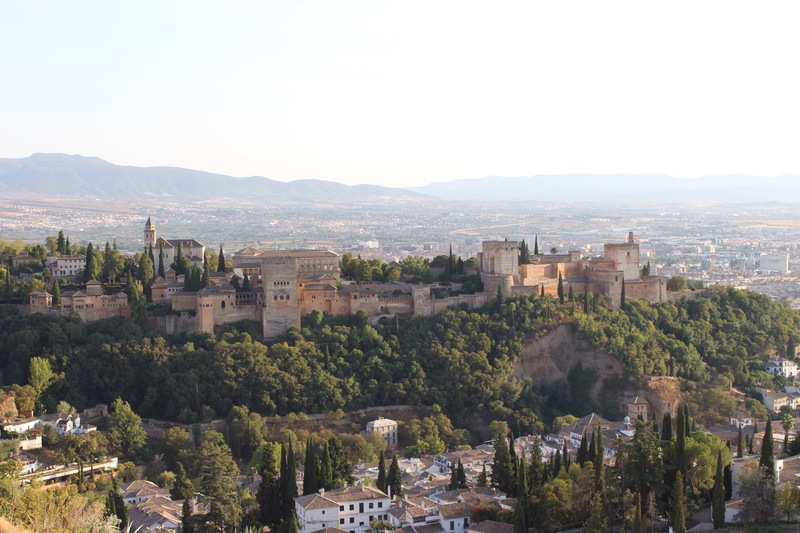 The hill looks across to the Alhambra, standing proud on the opposite hill in its beautiful red brick. 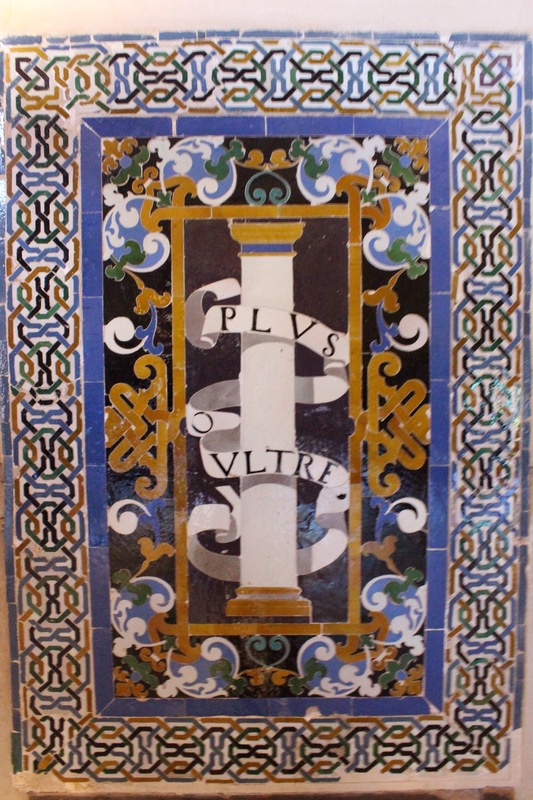 Once the Royal Catholics finally had achieved their goal of dismissing the last Muslim stronghold on the Iberian peninsula, Christopher Columbus was in luck. He got the support of the monarchy and the funding from Investors to begin his journeys west to America. 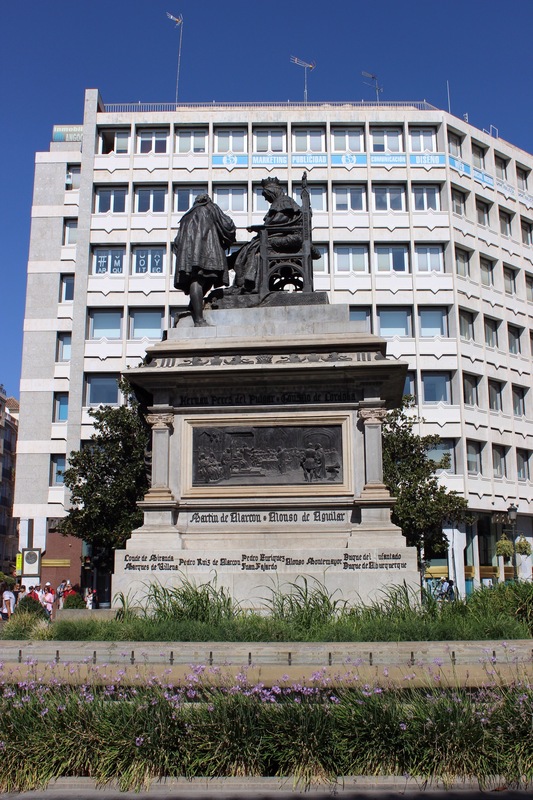 Much of the statue work gives praise to these expositions and the wealth that Spain got from finding the new world. The worlds fourth largest cathedral is here in this small city, built on the wealth of new trade and exploration of the Americas. 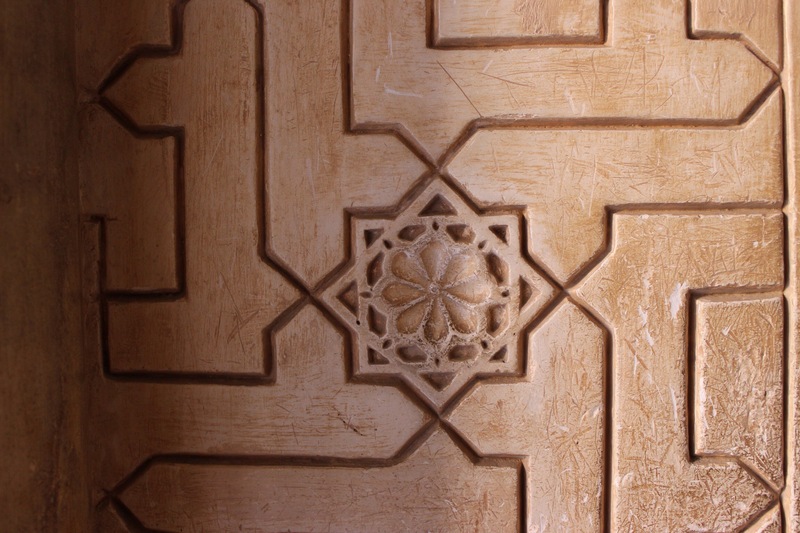 The octagonal building is beautiful in its Baroque design, the streets wrapping around it. Like most churches here, it is built on the site of a mosque, the tell tale sign being the wash basin remaining outside. 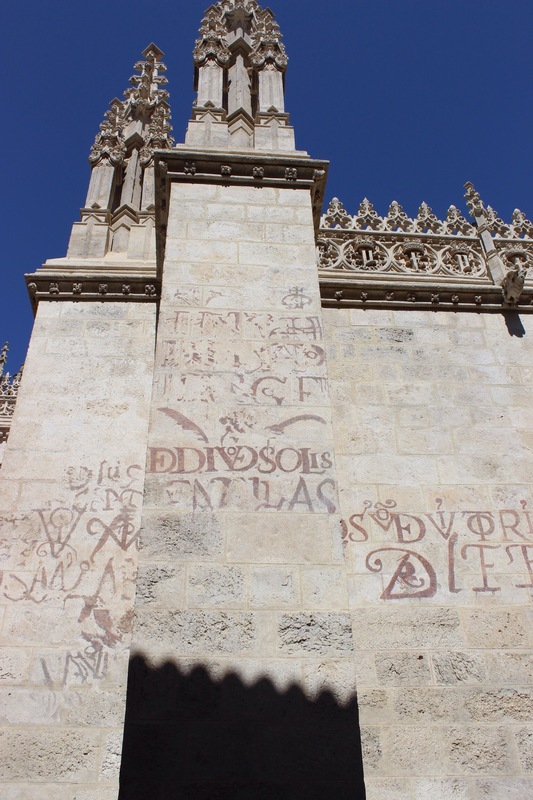 Strangely, alot of the externals of buildings in south Spain show marks of 17th century graffiti, largely done by the intellectual class. The victory symbol is neatly marked with the name upon graduating university. It was as sociably acceptable as updating your Facebook status. Inside, the white walls of the beautiful space and many stain glass windows give the large space an even larger feel. 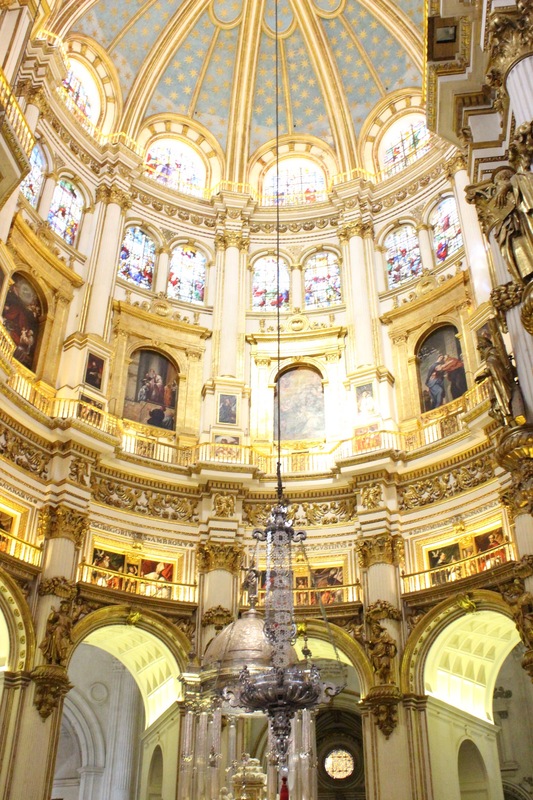 The organs lead the eye onwards to the ornate alter in the buildings centre. Archways make the most of the unique shape, devoting space to saints, each adorned in symbol and wealth. The cool mornings with their energetic promise, quickly develop into an oppressive afternoon heat which from 2pm- 5pm force you to abide by the Spanish siesta. I put sightseeing on hold to retire to my hostel, emerging later to explore the Radejo area, the original jewish quarter before their expulsion from the city in 1492. 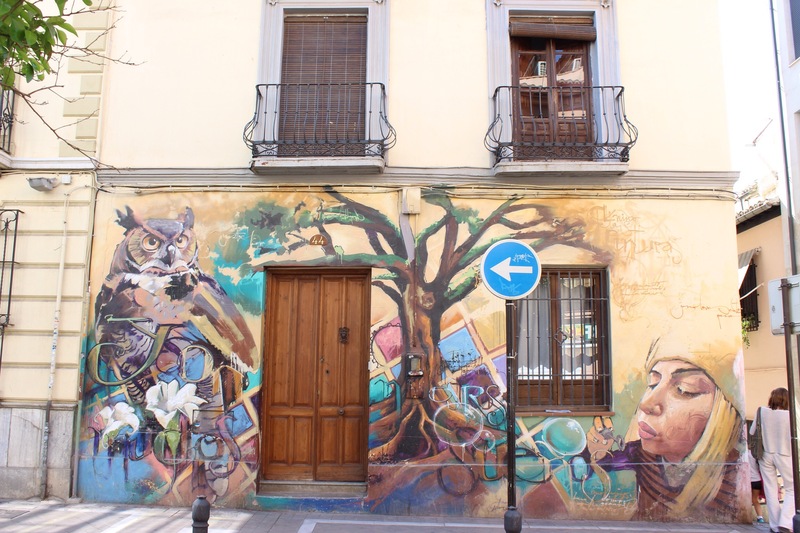 There is little to signify the history of this area, however it now feels like an emerging district, with plenty of eateries and street art, so it was fun to walk the small streets photographing the decoration of the walls and shutters. 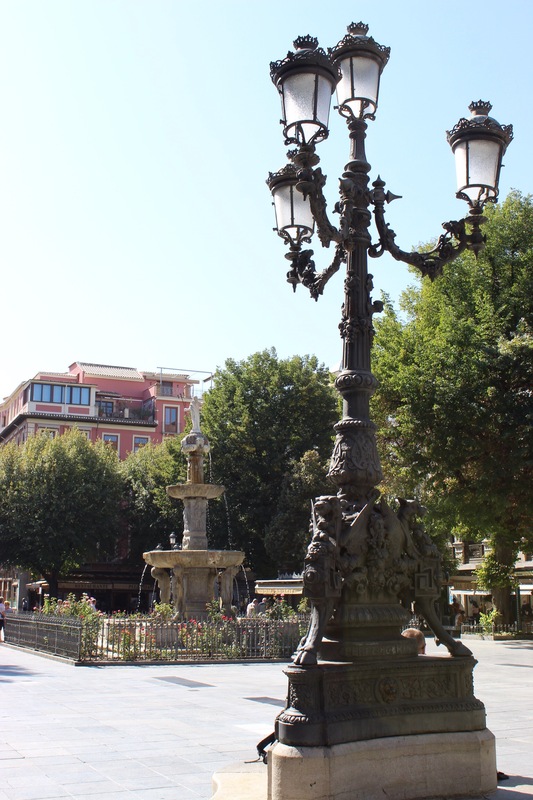 In the evening I joined a walking tour to explore the Sacremonte area of a city. 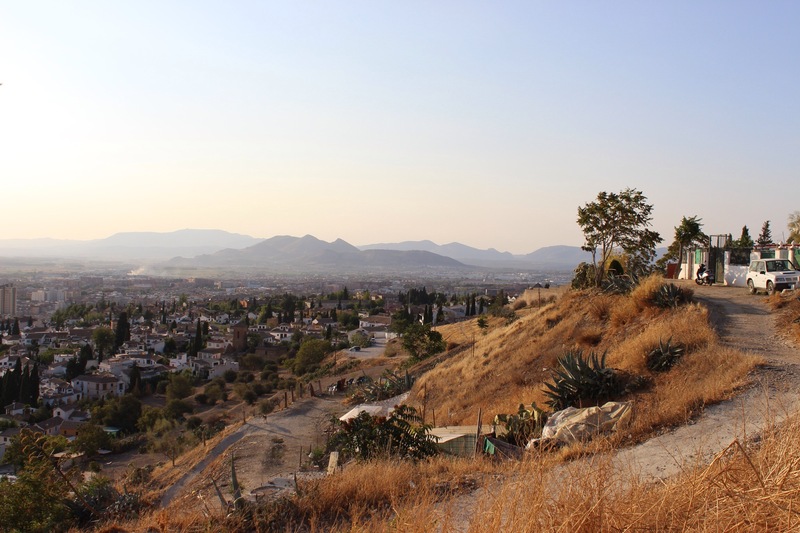 In a hot climb we walked through the Albycin up and up until we reached the edge of the city. Not often does a city have a definitive edge. 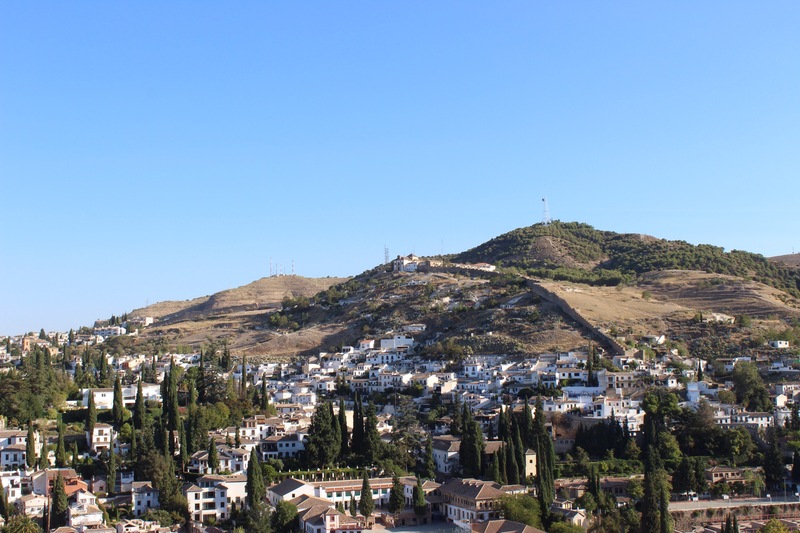 Places sprawl out into suburbs or villages, however Granada you can walk from the centre, to end up in a field, within 20 minutes. It’s bizarre. On the cliff edge many caves have been dug out and lived in over the years. Originally this was a gypsy area and a lot of the caves came from the 14th century and this area distinct to those not wanted in the centre. 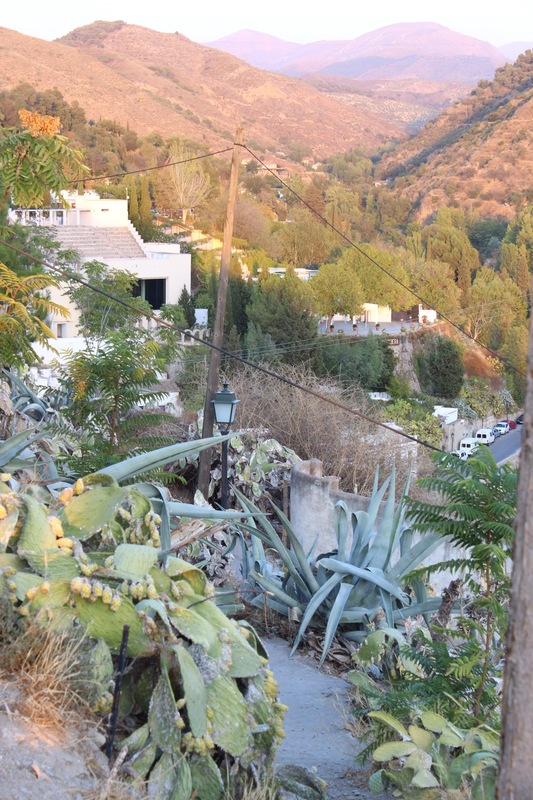 Many of the caves look primitive, the infrastructure of the town ending and leaving the caves in dry fields, steeply climbing up the hill, surrounded by cactus. Now it’s not exclusively gypsy, in fact hard to define a group who reside here. 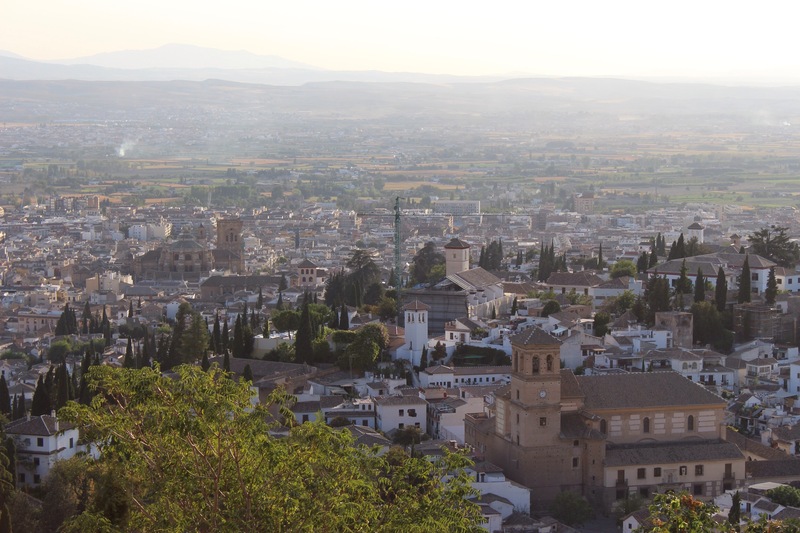 A lot of west Africans settling here have taken up residence, but some Granada locals have moved from the town. Whilst the land is government property, a few have purchased their cave homes and own them legally. At the top of the hill, the dipping sun over the city makes this modest area a million dollar view. 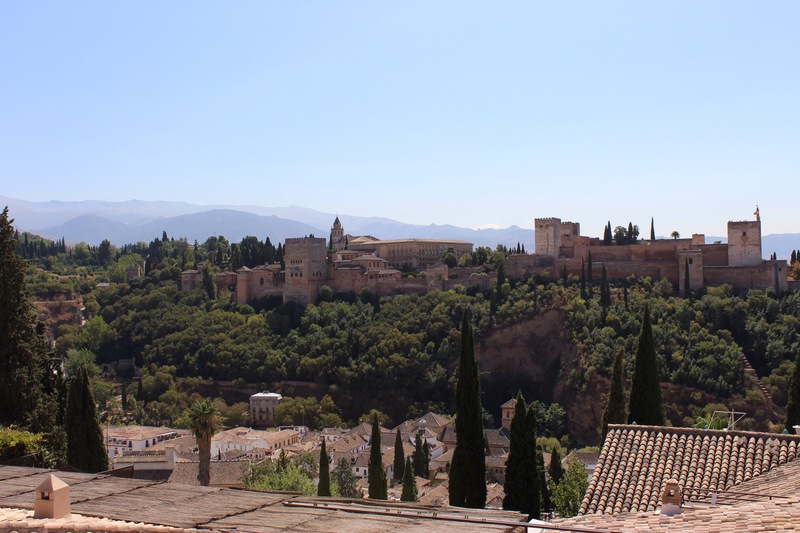 To the left, a full panorama of the Alhambra in all its richness, and beyond, the Sierra Nevadas, the highest range in Spain which once made this town so easily defendable. The small church boasts the highest point and we stopped here to admire the evening sky. As we climbed back down we followed the old wall of the Muslim city, now crumbling. 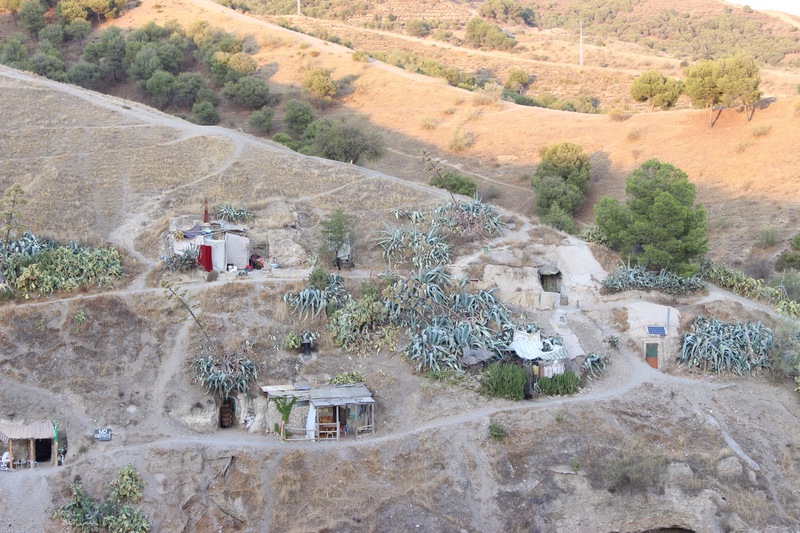 Whilst originally there would have been nothing beyond, now there is another hill of caves, this one exclusively gypsies. This hill would have once been home to 5000 but was largely destroyed and flooded during the Lisbon Earthquake of the 1800’s. Many relocated to other towns, but 500 remain, living out a peaceful life just beyond the city reach. 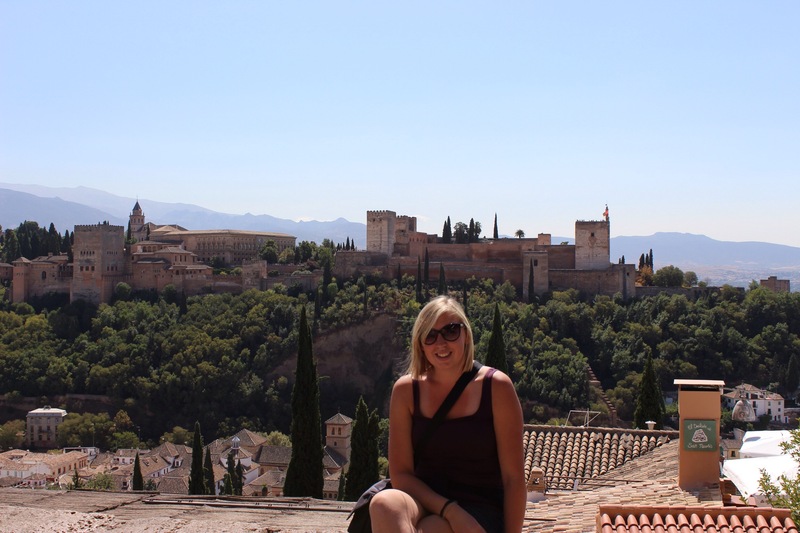 The gem in Granada’s crown is the Alhambra which translates as Red Palace. 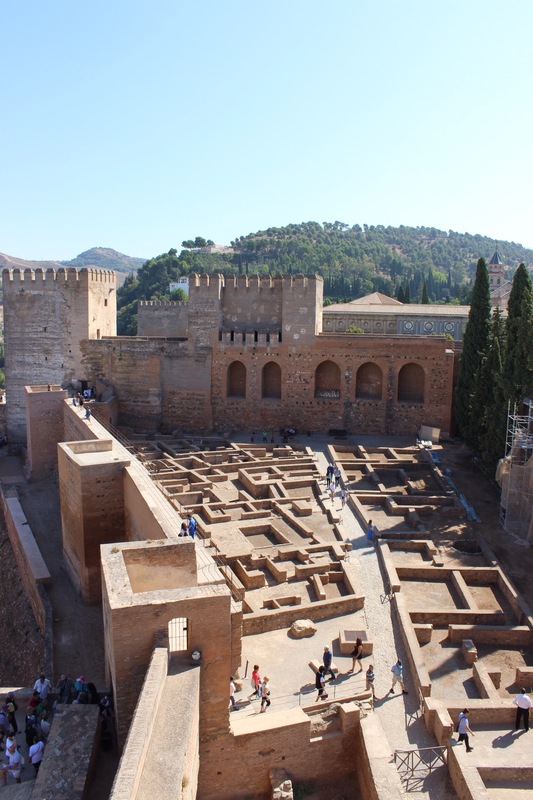 It was built in 1238 by the Nasrites but has been added to in sections, but comprises of the Nasrid Palaces, the Alcazaba and military fortification which defended the city, the Palace of Charles V who commissioned the palace after visiting on his honeymoon with his wife Isabella, and the Generalife, or garden of the creator. 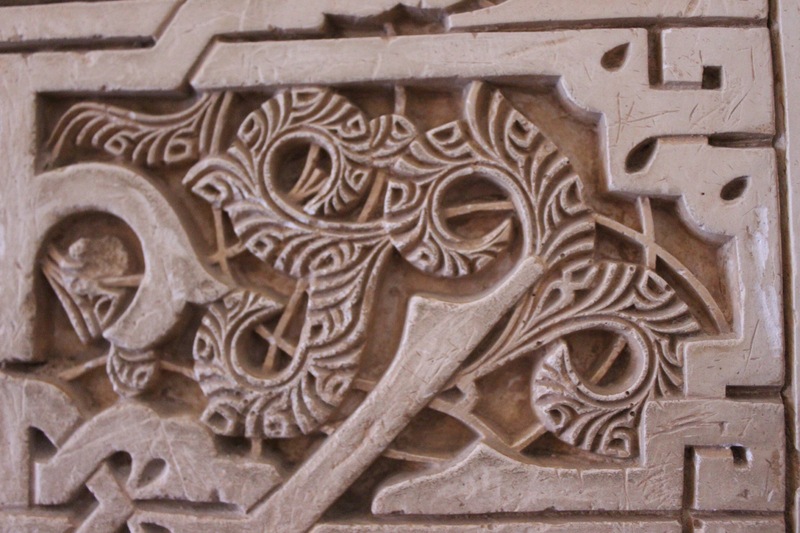 Having been incredibly lucky to get last minute tickets to the Alhambra, my slot to visit the Nasrid palaces was 9am, so it was a sleepy plod up the hill, to collect my tickets and be inside by 8.30. 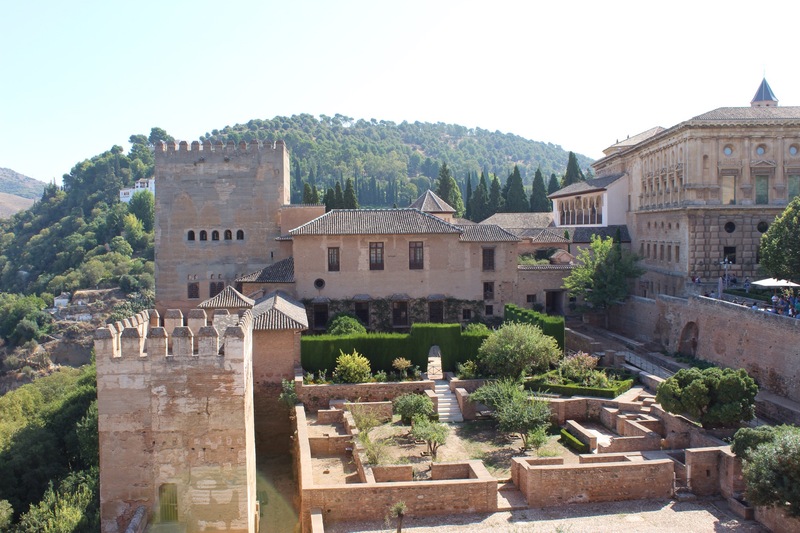 Although this is where the sultans lived, the Alhambra was a self contained community of around 2000 people with fortifications and artisans, running water and luxury. 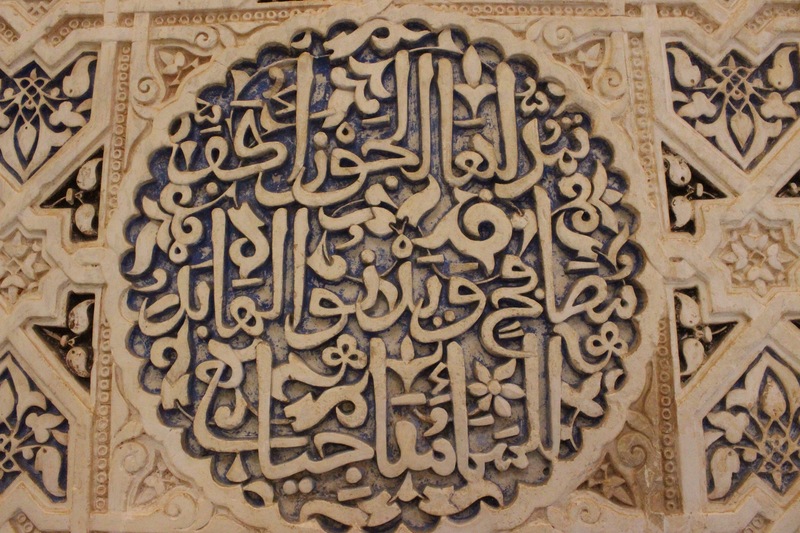 It is said that due to the peaceful surrender of Boabdil who is sometimes considered cowardly, no damage came to the Alhambra in the Christian siege of the city, and thus, this incredible place was preserved and adapted by the Catholic monarchs to be a court, managing to preserve this beautiful residence which displays an incredible blend of the Arabic intricacies and the Christian symbolism. 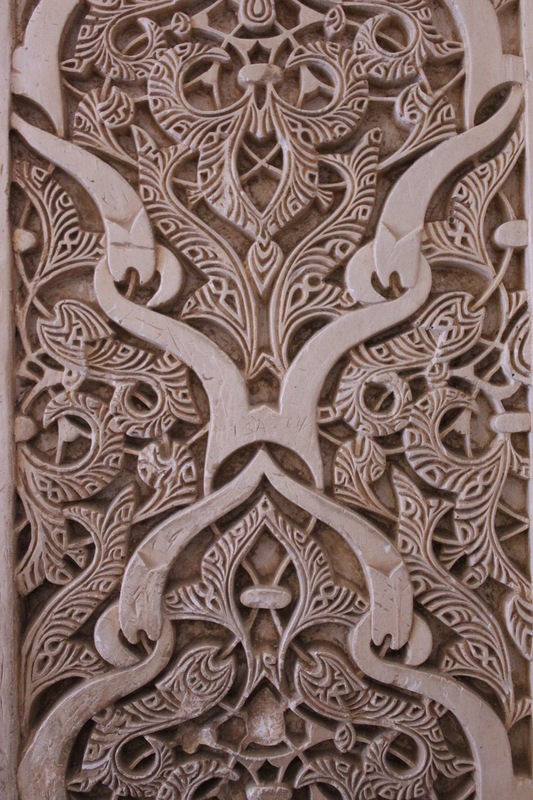 Room upon room displayed beautiful ceilings inlayed with calligraphy and botanic symbols as is the Arabic style. 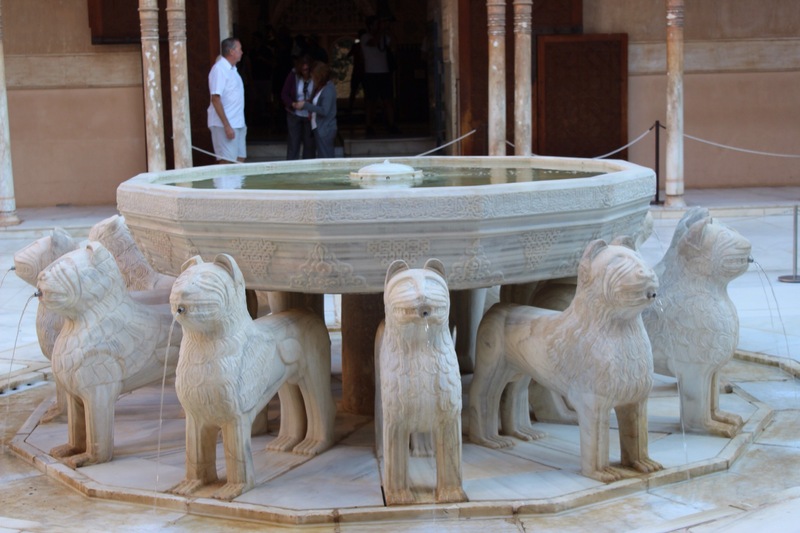 Rooms gave way to open courtyards with fountains and pools of running water. 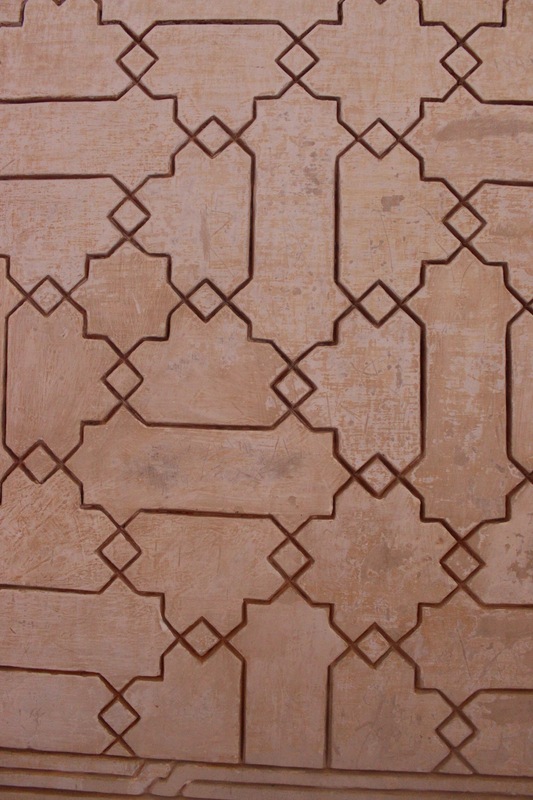 The symmetry was exact, the imagination endless. 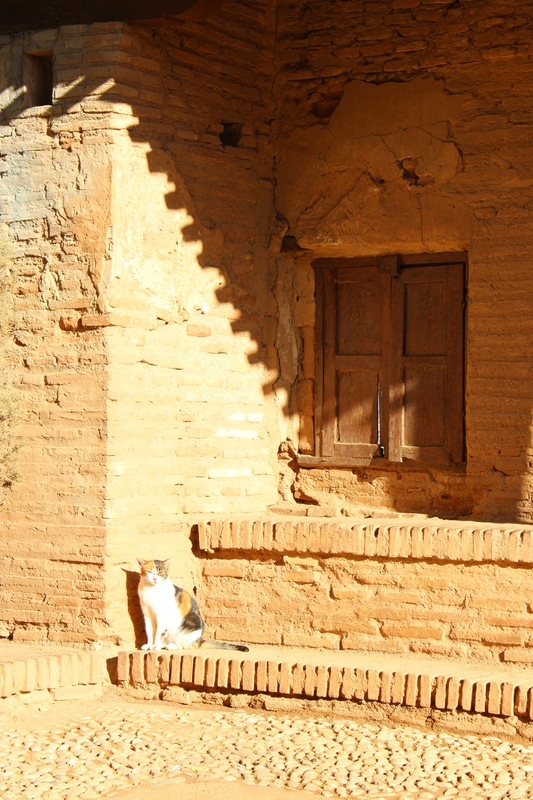 I emerged into fragrant rose gardens and cats sunning themselves in open courtyards. The walled city could look down on what was happening below. 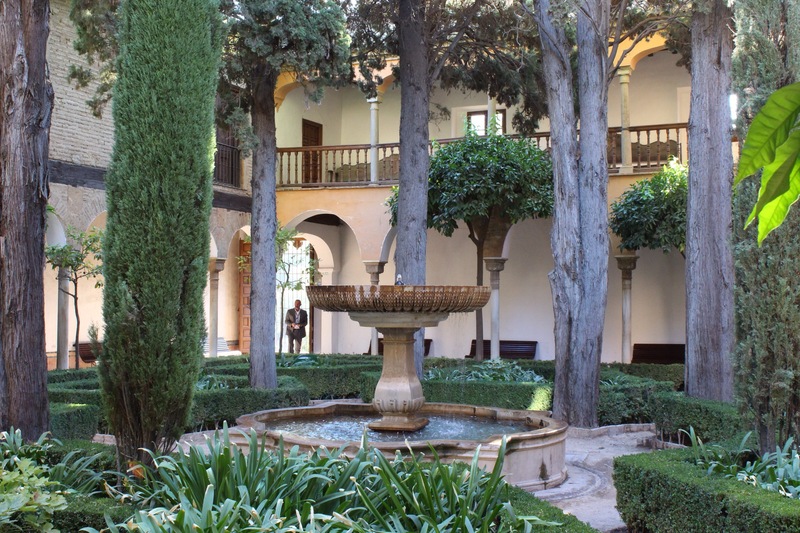 I made my way round to Generalife, the architects garden. Here serenity came from tall trees shadowing the now intense sun. 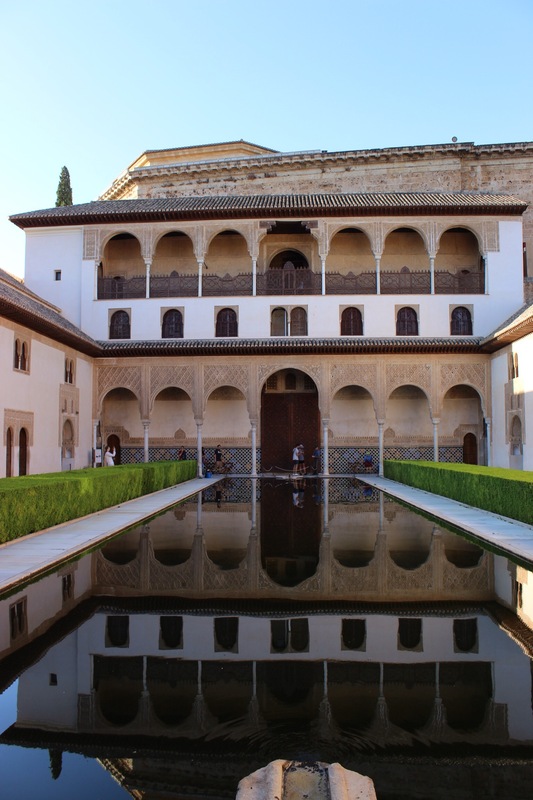 The palace of the Generalife was also adapted by the Catholic monarchs. 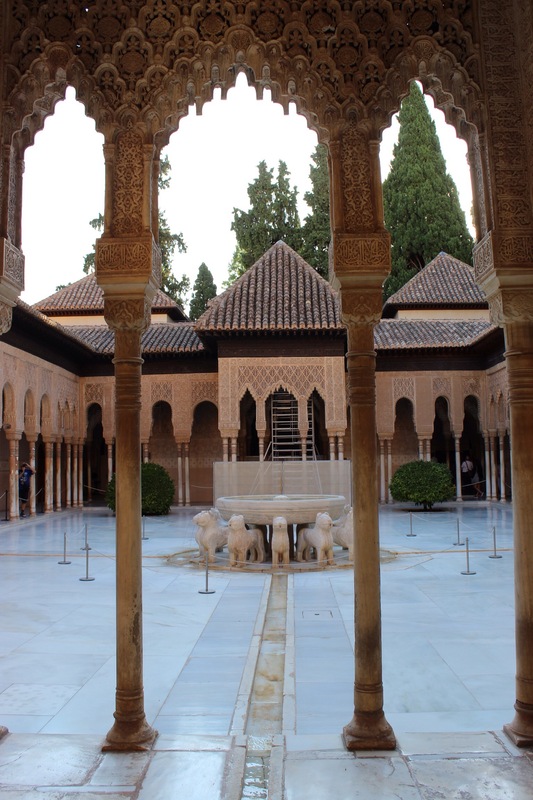 ﻿Inside the Alcazar was the plainest of all the Alhambra. It was the military sector and built for those who served the city, so evidence of many artisanal trades has been found here. There was also dungeons and thick defence towers, prepared for the attack which eventually came at an I opportune time for the sultans. Boabdil had taken the crowd from his father, scared he was going to lose the throne from his fathers second family. In this fraught time of civil tension, Isabella who had been placed in Santa Fe, orchestrated a surrender. 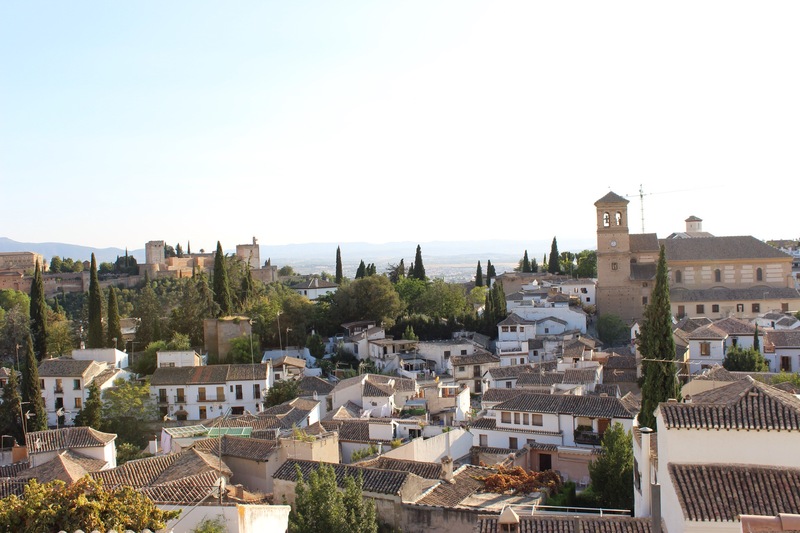 I prepared to leave Granada by carpooling, to travel on to the small white town of Ronda. 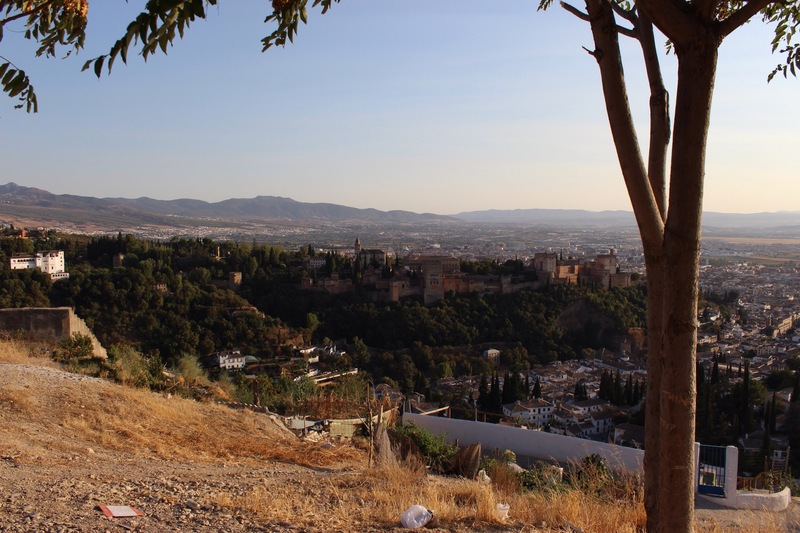 Granada’s arms appear to be thrown wide open, welcoming visitors to the last Muslim stronghold of Spain. Where? 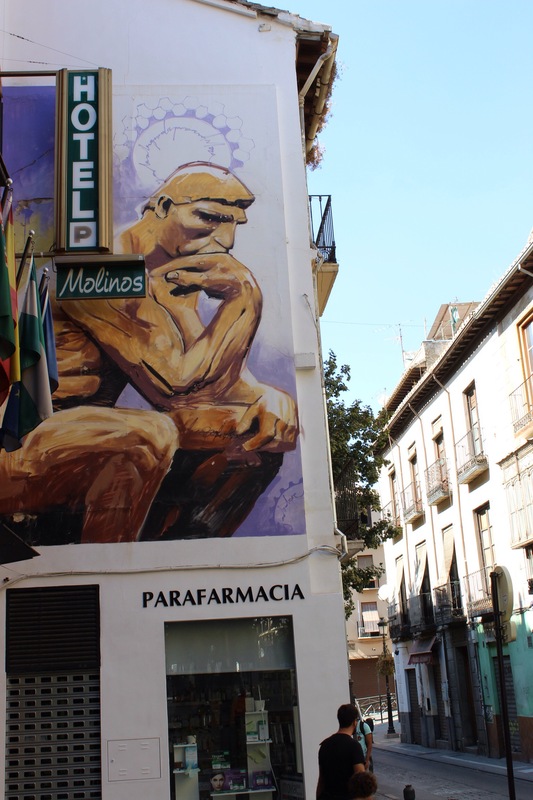 South Spain, about 5 hours by bus from Madrid, inland from the coast. Granadas signature dish: Free Tapas! Why go? 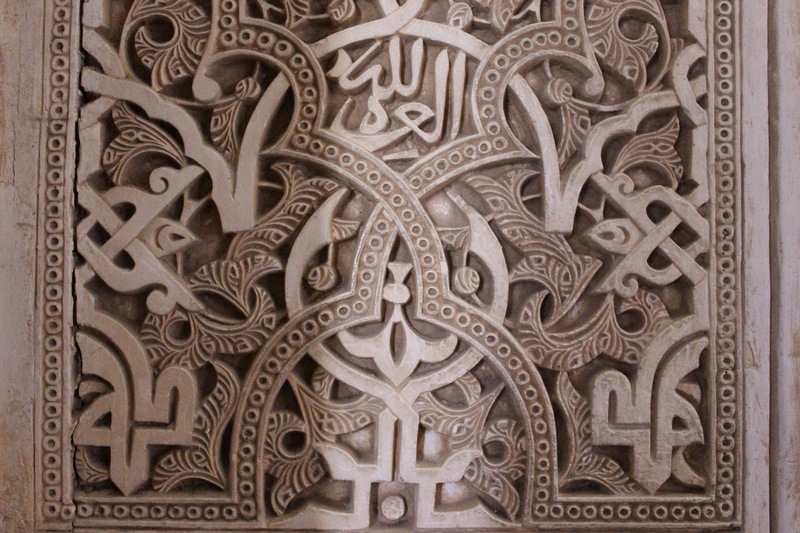 The Alhambra is a gem of Christian Moorish Architecture and are destined to fill your camera memory card. Where did I stay? White Nest hostel was clean and convenient for city exploring. 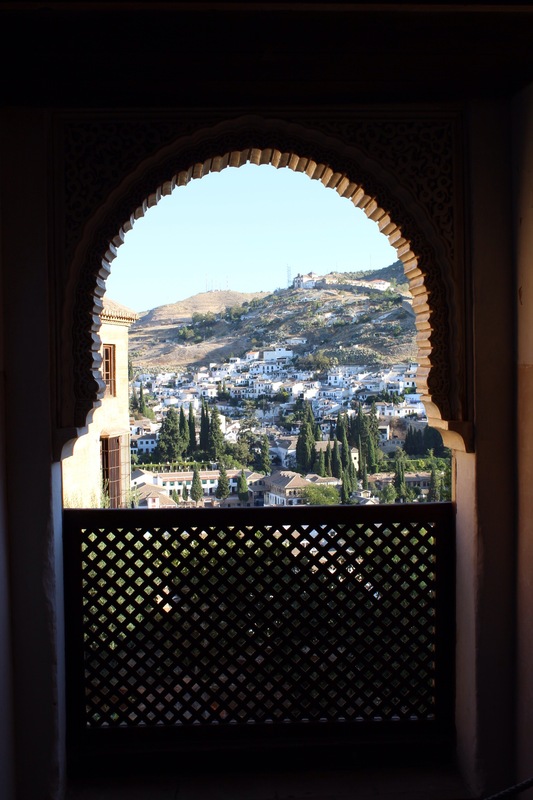 Top tip: Book Alhambra tickets in advance, a month is recommended. However if you are on a more spontaneous trip, a few official resellers around the city may have access to more tickets with 24 hours notice. What is carpooling? Blablacar is a common website for organising rides cheaply to many destinations and is common in Europe.